Cook’s statement is proving to be much more than just puffery. 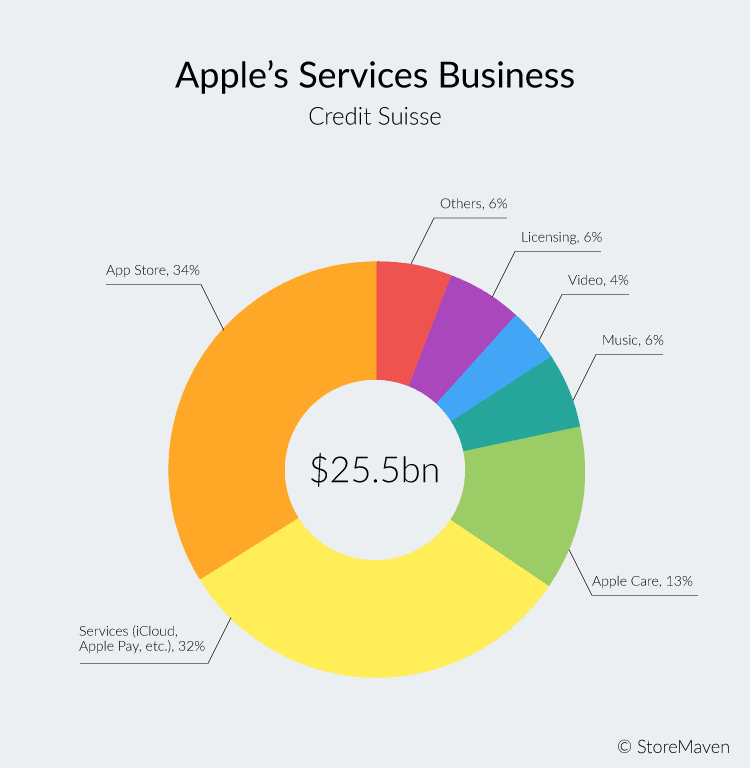 In fact, Apple’s Services segment—which includes iTunes Store, App Store, Mac App Store, iBook Store, Apple Music, AppleCare, Apple Pay, and licensing—has become Apple’s biggest grower year over year and managed to bring in $26 billion over the last fiscal year! Weigh that against the $25 billion made from Apple’s Mac, $23 billion from iPad, and $10 billion from “Other Products” (e.g. Apple TV, iPod, Apple Watch, and Beats) and it becomes easy to understand the growing importance placed on Apple’s Services business and the development community as a whole. Apple’s Services segment is most predominantly led by the App Store, which has developed from an essentially blank canvas of 500 apps when the store debuted in 2008, to now hosting nearly 2.2 million apps. It has become a marketplace with more than 500 million unique customer visits every week, 180 billion app downloads, and a thriving developer community that has earned over $70 billion—well over $20 billion in 2016 alone (although Apple has not indicated how much of that has gone to the top 100 developers). What Apple gathers from these figures is that consumers still love apps, and the App Store equals money—boatloads of it. So naturally Apple will continue investing in the App Store ecosystem. The biggest move toward vamping up the Apple App Store was promoting Phil Schiller in December 2015. 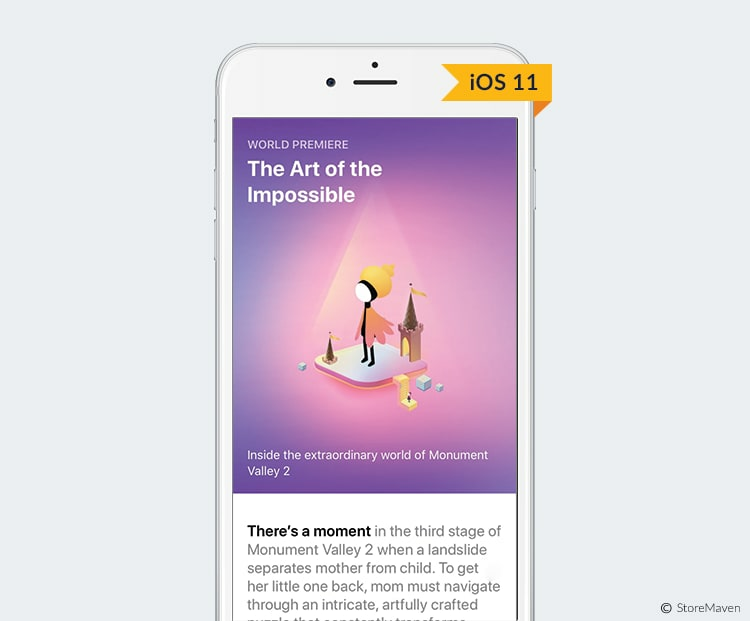 In a tweet sent out in March of this year, Schiller alluded to his overarching aspiration of transforming the App Store into a place that everyone wants to visit daily; and boy did those early revelations come to fruition when he unveiled the all-new iOS 11 App Store last month at the Apple WWDC 2017. Perhaps the biggest insight from all of this is Apple’s interest in deepening its role as a distributor. And if Apple Search Ads didn’t make it clear that Apple wants more power as a distributor, then the iOS 11 App Store surely does. 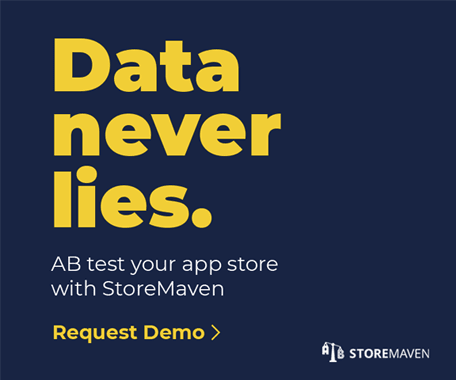 This new version of the App Store also seeks to deal with one of developers’ biggest challenges: getting their app discovered in an App Store with millions of other apps. 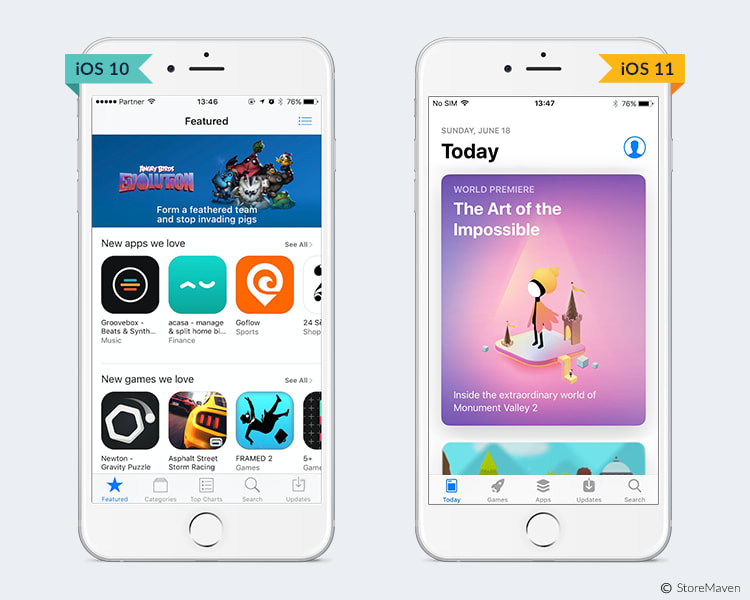 So, without further ado, here is exactly how the iOS 11 App Store will give Apple more power as a distributor and how these changes will ultimately impact your app’s discovery, for better or for worse. But as we all know, the App Store search functionality is uh… well… good luck finding the best apps in a category, unless of course you’re searching for a specific brand that you already know! While Apple surely understands the importance of fixing their app search engine—and changes are underway—it will be a very, very long process as pages need to be indexed, app names and keywords need to be checked for relevance, the rankings mechanism needs improvement, the reviews and ratings algorithms need to be tweaked, old apps need to be purged, etcetera, etcetera. So, in the interim, Apple decided that the best way to ensure that valuable apps are getting discovered is through editorial content—shifting even more weight away from algorithm-based suggestions and moving toward human-curated lists of featured apps that Apple wants to push. For app developers, this may sound both exciting and terrifying, as one big question looms: who will be the winners and who will be the losers? Or is that two questions? Either way, it’s unnerving! The new iOS 11 App Store design matches the aesthetics of the Apple Music store, with fresh, feed-like designs, all-in-one scrollable pages, clear headers, end-to-end graphics, and immersive videos that play automatically. The new design dramatically alters the look and feel of Apple’s app marketplace—transforming it into a trendy hub and news source users are more inclined to visit on a daily basis. Rather than getting lost in a sea of app icons, the new design does a much better job of focusing users’ attention on specific, app-related content. Again, content divvied out with a more human touch. The store’s organization is still premised on a navigation bar that is divided into five distinct tabs. While “Updates” and “Search” tabs remain, there are three new navigation tabs: “Today,” “Games,” and “Apps.” As we have thoroughly reviewed, these new tabs function to eliminate competition between Apps and Games, and allow users to more easily navigate between the two. The new App Store landing page is called “Today” and is designed like a daily news source featuring exclusive premieres, new releases, favorites, interviews, and how-to guides to help customers use apps in innovative ways. This is where Apple’s global team of editors hand-pick apps and games they want to promote. It is also where editors are able to provide additional information and context that is potentially more relevant to users who are in a “looking for something new and cool to make my phone more useful” state of mind. While a lot has been said about the perks of getting your app featured in the iOS 10 App Store, we believe the redesign will significantly increase these benefits. In the older version, being featured produced a short spike in downloads, with an abundance of less qualified installers. 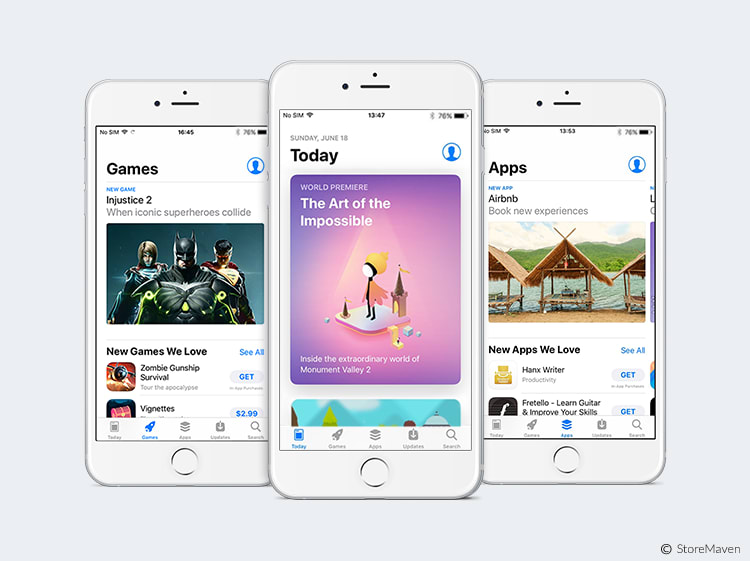 The redesigned App Store, with its new focus on editorial content and visually compelling displays, naturally provides more context apropos of an app’s core features, functionality, utility, and benefits. This not only helps increase conversions, but also has the concomitant benefit of driving more qualified installs and, in turn, improving customer retention. This all sounds fantastic, but unfortunately the redesign doesn’t make getting featured any easier, on the contrary we believe it will be far more difficult for most! You see, the iOS 10 landing page (“Featured” tab) gives apps a greater chance of being featured, as there are 11 different, editor-picked categories an app can be featured within. The iOS 11 App Store, on the other hand, allows for only a select few apps to be featured on the landing page—making competition all the more challenging. Developers will now have to invest in creating and polishing up marketing materials that can grab the attention of Apple’s editors. The new landing page does, however, increase the probability of indie developers getting discovered as they now have their own featured section on the “Today” page. In the older version, users have to browse categories to get to indie featured apps and in order to be featured on the main landing page, indie apps are forced to compete against bigger apps. Yes, all you independent developers can now take your much-deserved sigh of relief! As you can see, the new landing page gives Apple the freedom and control to push whatever they fancy. For developers, the new landing page has potential benefits, challenges, and a lot of what we all loathe—the unknown. 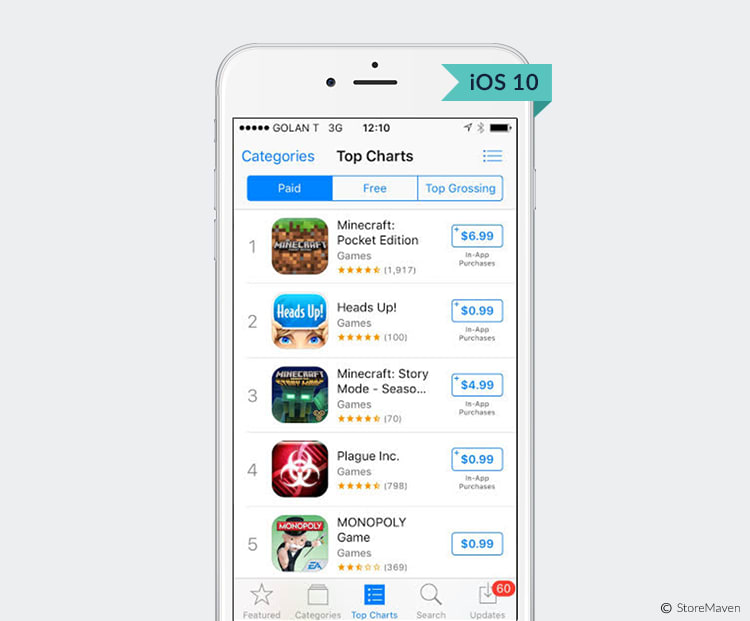 According to App Annie, games is the most popular category in the App Store by downloads. 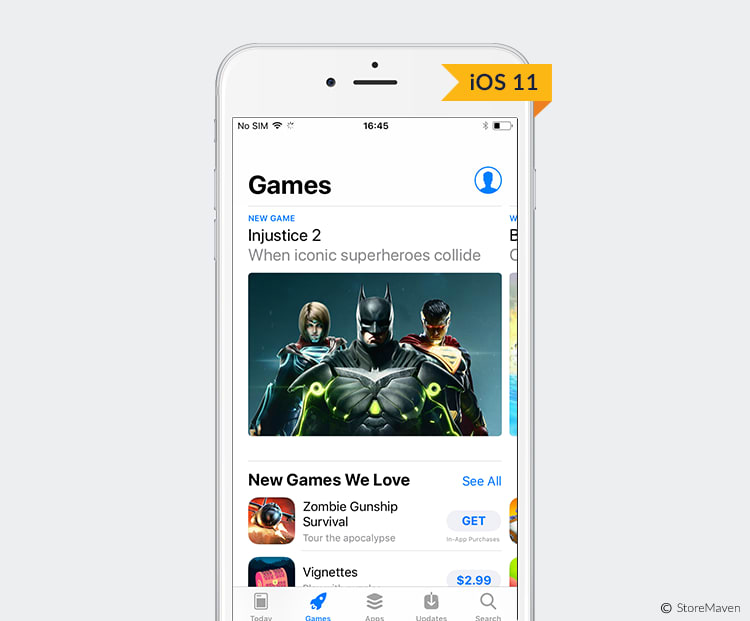 Hence, it comes as no surprise that the iOS 11 App Store has an entire page strictly devoted to the Games experience—affording users the ability to navigate and discover available games without sifting through other app types. 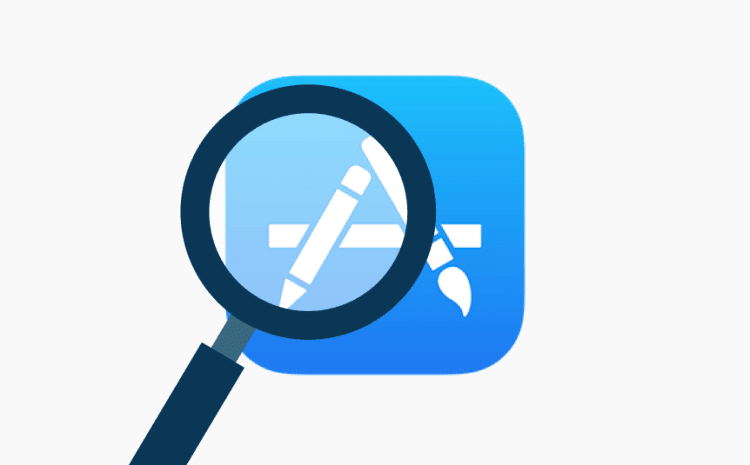 Anyone who has ever browsed the App Store has likely experienced getting bombarded by games in their search for apps or vice versa. Hence, this separation makes a lot of sense from a user’s perspective. Alongside a better UX, the new “Games” page is far more visually appealing and designed like a news feed. At the top of the page, there is a carousel of featured and new games displayed with visually appealing, end-to-end graphics. Below that there are several editor-picked subcategories in which three or four corresponding featured games are presented in a carousel with an icon, title, and all-new subtitle—allowing developers to describe the utility of their app while utilizing keywords. The new “Apps” page is essentially identical to the new “Games” Page in which users have to scroll past featured apps in order to be able to browse Top Categories. This new format significantly alters the user’s browsing journey, whereby users are distracted by a host of editor-picked, featured apps before they can browse specific categories. The purpose of these changes is obvious; to get users to explore new apps even if they know exactly what they want to browse in the App Store. This is a challenge for developers insofar as the App Store is gaining more control over which apps they want users to discover. As mentioned above, the major benefit of these changes for developers is the elimination of competition between games and apps. Also, if a developer’s app gets featured it will not only bring higher conversion rates, but also more qualified installs. However, competition for getting featured remains high. In iOS 10, “Top Charts” was a navigation tab in and of itself. In the new version, that tab has been removed entirely and now “Top Paid” and “Top Free,” which was located in the “Top Charts” tab in iOS 10, can be found towards the bottom on both Games and Apps pages. These changes are a blatant attempt to make these rankings less visible to the average user. This is further evidence that Apple wants more human command over what gets downloaded, instead of algorithms pulling the levers. Another interesting change is the removal of the “Top Grossing” list. While a game or app that is making heaps of money can definitely be a sign of quality and willingness of users to engage, the average user does not choose to install an app based solely on how rich a developer is. So, we believe this change will not harm users or developers. The removal of Top Grossing does, however, mean that developers lose the ability to benchmark the revenue of one app against another and understand relative performance across the app economy. Luckily, developers can leverage the services of App Annie to optimize their app store strategy by analyzing market data metrics including historical rankings, ratings, reviews and keywords for any app across categories and countries for free. Apple clearly wants users to have a superior experience on the App Store and the iOS 11 redesign is the embodiment of their attempt at achieving just that. It is about creating a storefront that goes far beyond the status quo of flashing app icons in users’ faces. It is a full-on attempt at creating an immersive, trendy hub that users want to visit daily—and they are redefining app discovery in the process. In their efforts to achieve this, Apple has taken on a new strategy, one that involves veering away from Top Charts and any kind of method in which companies are able to play their algorithm (such as buying incentivized traffic, for example). And they are moving toward human-curated listings and editorial content that put the power of distribution in the hands of Apple, while providing users with not only a wide variety of apps of potential interest, but also a profoundly deeper familiarity of said apps. So, what do the iOS 11 App Store changes mean for developers in terms of discovery and quality of installs? While the division of games and apps is beneficial for discovery in terms of eliminating competition between the two, competition remains high as there are fewer featured slots, and editors hold more power in determining which apps get pushed. For small businesses, the new featured indie section on the Today page holds the potential for independent developers to be far more discoverable than ever. However, there is simply no telling if that section will remain on the Today page. If not, they will have to again compete with big names to get featured on the new landing page. For mega-companies, we project that discovery and, in turn, volume of installs will decrease as a result of the removal of Top Charts. That is, most iOS 10 users tend to engage with the Top Charts tab in their search for new and noteworthy apps, which means that massive companies that have already managed to climb to the top of the charts will no longer be prominently featured. The only way that big companies won’t experience a decline in the volume of installs is if Apple establishes some kind of featuring system specifically for those big players. But as of yet, big companies cannot be assured they will be consistently featured in a way that compares to the impact of making it to the Top Charts. In terms of quality of customers who install, however, we project this will improve across the board. The all-new immersive experience that Apple is shooting for, is one that allows customers to make more informed decisions. Not only are users being exposed to a fresh variety of apps, but also content rich editorials that paint a clear picture of the purpose and benefits of an app. 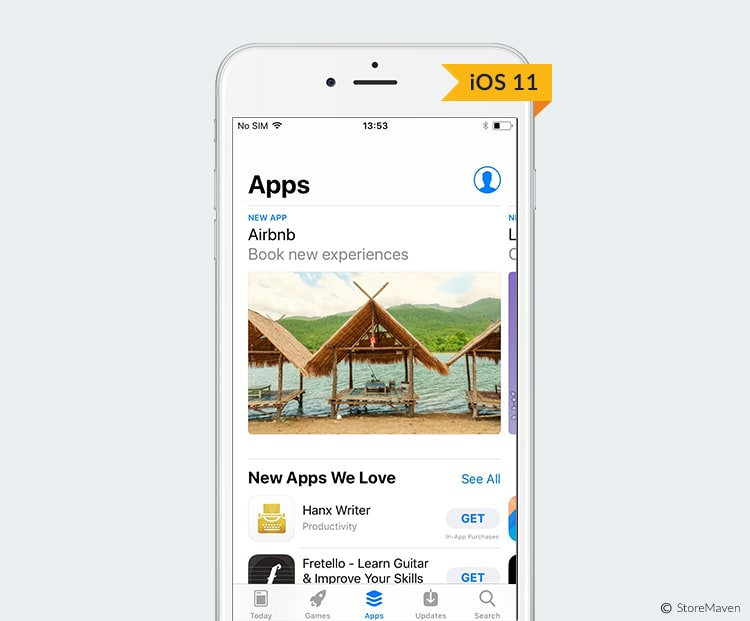 Even the App Store Product Page—which we will more elaborately discuss in our next post on the impact these changes will have on conversion—is rich with more videos and tweaks that function to help developers better communicate the utility of their app to customers. All-in-all, the new featuring system and editorial content might not seem like the most democratic approach to app discovery, but through massive onboarding to Apple’s editorial team, it seems they will most likely do their best to reward companies—big or small—that create truly unique app experiences and make the operating system and device look good. Because in the end, they want the user to win. It’s important to note that with all of these changes, it is of paramount importance that you revisit your ASO strategy. In the coming weeks we plan to publish a list of the first few ASO tests you should run on iOS 11. Now here’s the real caveat…. And please, excuse my French… but does mass market really give a damn about rich content in their search for apps? And will Apple successfully develop the App Store into a content discovery platform? The fact of the matter is, in this day and age people don’t go to app stores on a daily basis. They engage once in awhile because they heard about an app they want to download or they’re looking for an update. So really the biggest unknown in all of this is how well will Apple manage to engage users to come back daily and want to discover apps through this approach. This article was co-authored by Shira Leffel and Adam Rakib. Have questions? Feel free to write us below! Shira Leffel is a writer and marketing executive. Shira received her BA from the University of British Columbia and her MA from Tel Aviv university. Its helpful a lot.! Nice explanation.